Creative, vivacious, and loving, Patricia had a vibrant personality and warm heart that will be missed by her family and friends. Patricia (Patsy), 69, died peacefully with her loving husband Ron Lusted, by her side on Wednesday, May 14, 2014 in Truth or Consequences, New Mexico. Patsy was born in Oregon City on April 26, 1945, to William M. and Ruby P. Blaser. She attended Molalla High School. Patsy was a fantastic seamstress. She could pick out a pattern and sew it the same night and wear it to school the next day. She was involved in the Girls Athletic Association, Future Business Leaders of America and showed her school pride in Yelkis. 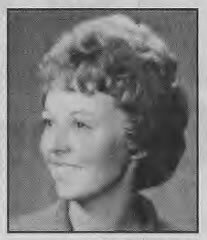 She graduated in 1963. That same year, Patsy married her high school sweetheart, Gary Bush, a marriage that blessed her with two of her three children, William Bush and Wendy Gudmundson. Later in 1983, Patsy married the love of her life, Ronald Lusted. Together they had Patsy's youngest child, Tricia Deardorff. Patsy worked for the Molalla Pioneer for several years. After retiring, she enjoyed crafts such as knitting and making jewelry. In July, 2010, Patsy and her daughter, Tricia, opened Precious Pomegranate Designs, a local jewelry boutique on Main Street in Molalla. After a year, Patsy and Ron moved to New Mexico to embark on their next adventure. Patsy was an avid bowler and was a member of many bowling leagues over the years. She even competed in a national tournament in 2010. She thoroughly enjoyed traveling with her husband, Hawaii being her favorite destination. Patsy is survived by her husband, Ronald Lusted; son and his wife, William and Melisa Bush, Shanghai, China; daughters and their husbands, Wendy and Cary Gudmundson, Mulino, Oregon and Tricia and Kevin Deardorff, Molalla, Oregon. She had one grandson, Gabriel Bush; two sisters, Irma Kirkpatrick, Knappa, Oregon and Evelyn Kelley from Molalla, Oregon; and brother, Donald Blaser, Elephant Butte, New Mexico. She was preceded in death by her parents and brother, Ronald Blaser. Patsy was a remarkable woman. She was fun and always ready for an adventure. A woman of vision and dedication, she started two businesses after she retired. Patsy was kind and always willing to lend a helping hand. She fought her battle with cancer with dignity and grace. She will always live in the hearts of and be missed by anyone whose life she touched. A memorial service will be held on Monday, June 23, 2014 at 2 p.m. at the Molalla Church of the Nazarene, 920 Shirley St. Molalla, with Rev. Vic Dunton, officiating. Reprinted from the June 10, 2014 Molalla Pioneer. 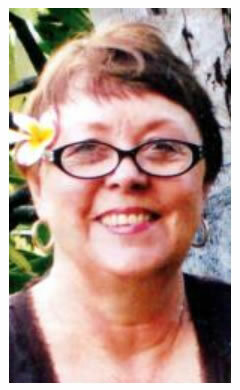 Patricia Ann Lusted, 69, a resident of Truth or Consequences for the last three years, passed away on Wednesday, May 14, 2014 at Sierra Health Care Center with her loving husband by her side. Patricia was born in Oregon City, Oregon on April 26, 1945 to William M. and Ruby Patricia Blaser. She is survived by her loving husband, Ronald Lusted; one son, William Bush, currently in Shanghi, China; two daughters, Wendy Gudmundson from Mulino, Oregon and Tricia Deardorff, from Molalla, Oregon; one grandson, Gabriel Bush; two sisters, Irma Kirkpatrick from Knappa, Oregon and Evelyn Kelley from Molalla, Oregon; one brother, Donald Blaser from Elephant Butte, New Mexico. Patricia enjoyed bowling and co-owned and operated a jewelry boutique, wither daughter, Tricia. She enjoyed fishing with her husband, and loved traveling. She especially enjoyed Hawaii. There will be a Memorial Celebration Service at the Fellowship Alliance Church (1601 E. 6th Ave) on Tuesday, June 3, 2014 at 11:00 a.m. with Rev. Bill Winkler officiating. Reprinted from June 3, 2014 Kirikos Family Funeral Home, Inc. obituary.